German car manufacturer Daimler AG has formed a 50-50 joint venture with Zhejiang Geely Holding Group (Geely Holding). This new venture will develop all-new Smart electric models that will be assembled at the new all-electric car factory in China with global sales due to begin in 2022. 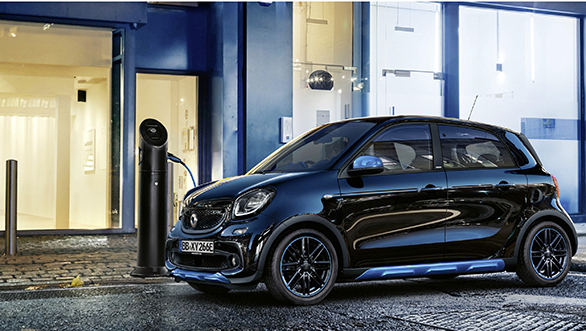 While the design of this new-gen Smart electric will be done at the Mercedes-Benz Design network, the engineering bit will be taken care of Geely global engineering centers. In its present state, Daimler will continue to produce the current generation of Smart vehicles at its Hambach plant France (smart EQ fortwo) and at Novo Mesto (Slovenia, smart EQ forfour), however the future production will be shifted to China from 2022 onward. Li Shufu (left), Geely Holding Chairman and Dieter Zetsche (right), Chairman of the Board of Management of Daimler AG and Head of Mercedes-Benz Cars. The details on this joint venture is expected to be finalised by the end of 2019. The company also mentions that the financial terms of the smart joint venture have not been disclosed. As part of the vehicle-development program, the Smart product portfolio is also planned to be extended into the fast-growing B-segment. The Hambach plant will produce a compact electric vehicle by Mercedes-Benz under the new product and technology brand EQ. The German auto brand is investing 500 million on the Hambach plant. This joint venture follows the separate agreement between Daimler Mobility Services and Geely Technology Group announced last year, in which the companies agreed to cooperate on a new premium ride-hailing service in China. "We will jointly design and develop the next generation of smart electric cars that combine high-quality production and known safety standards for sale both in China and globally. In the future, we are looking forward to working with all partners to sustain our success in China and worldwide. Separately, Mercedes-Benz will produce a compact electric vehicle at the Hambach plant, sustaining employment with further investment in the facility" commented, Dieter Zetsche, Chairman of the Board of Management of Daimler AG and Head of Mercedes-Benz Cars. In addition to Daimler AG, even BMW has teamed up with a Chinese brand for its next-gen of EVs. BMW had formed a joint venture with the Great Wall Motors in China in 2018 called Spotlight Automotive under which electric cars under the Mini brand would be produced in 2021. This will help the German car manufacture share the investment costs with the local partner. While this will take care of domestic sales in China, the export plan from China might not materialise if the U.S.-China trade discussion doesn't go in the right direction. Spotlight Automotive will be based at the Jiangsu Province city of Zhangjiagang in central China with a production capacity of 1,60,000 vehicles per year in its new plant. This will be done with a total investment of 5.1 billion yuan (approximately 670 million euros).